Wedding Saree Photo Montage app has great collection of indian saree photo suits. Download for free wedding Saree Photo Montage app, and you will se brilliant indian traditional saris and bridal dresses with all necessarily ornaments and jewelry for hair, hands etc. Learn something new, meet one new amazing dress up culture, and unique fashion design world. 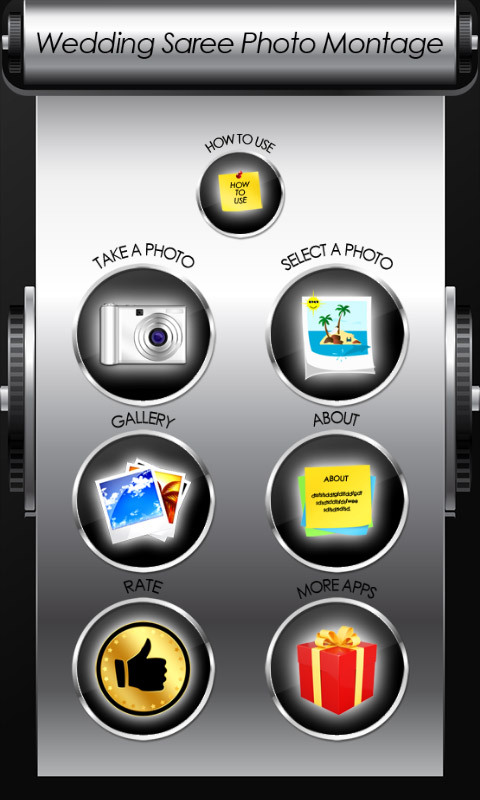 Choose photo from image gallery, or take a new one with camera and start to design your new look. Open improvised fashion closet and start to montage your photo. 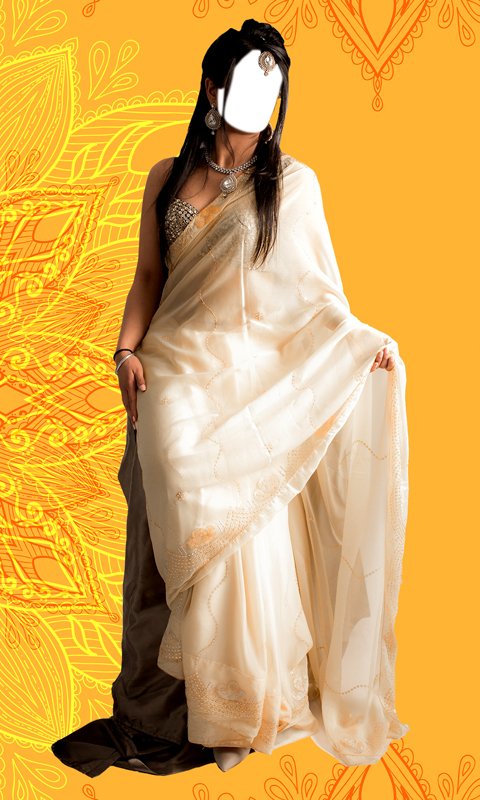 Set photo in all saree photo suits, edit photo, and choose saree which best suits your image. How is to be Bollywood bride? Enjoy in lovely lace and silk colorful dresses. Indian girls love to wear a handful of bracelets, rings, big earrings , necklace and other jewelry. 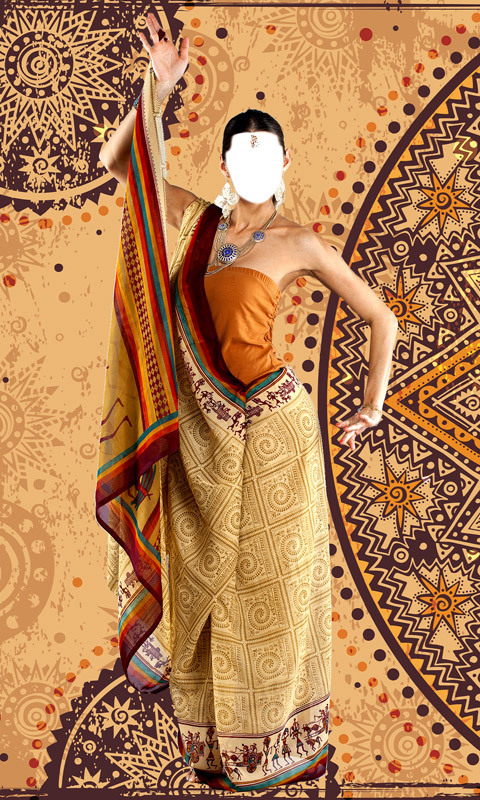 Give your best to beautify your photo and look like Indian princess. Show your design tallent. You'll be surprised with your new look.